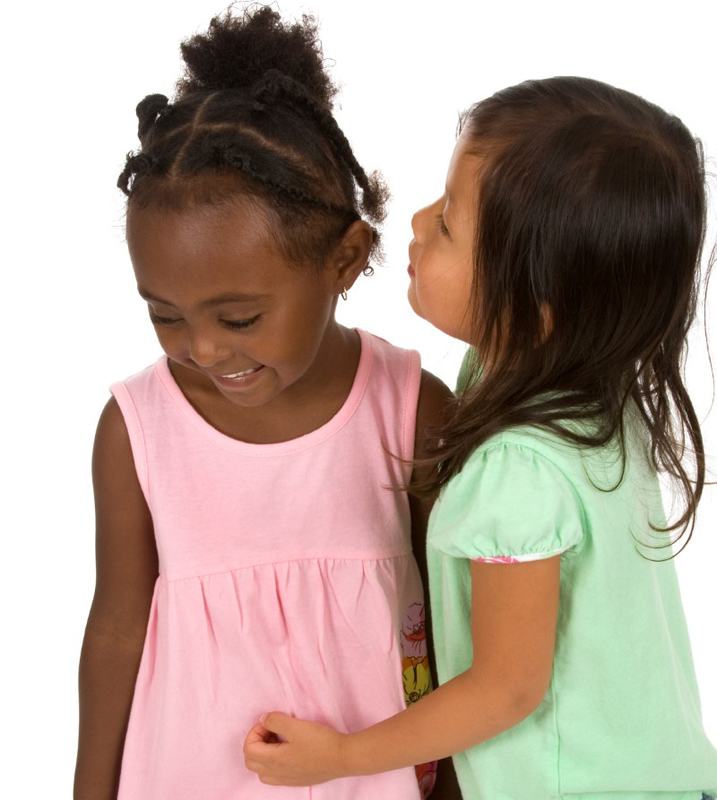 Help shy toddlers learn how to play with others. Young children do not understand lying or stealing. Make the first day of child care as positive as possible. Toddlers can feed themselves using spoons or their fingers. Get an assessment to see if your child is developing normally. Toddlers may be angels at school and terrors at home. Avoid using food for comfort. What’s it like to be 31-32 months old? Encourage grandparents to share in your child’s life. Punishment does not teach the right thing to do; teaching does. Nutritious snacks are easy to make. Going with her to join in the play. Stand on one foot with a little help. Attempt to turn pages of a book or magazine on his own or after being shown how to do it. Use a cup and spoon. Express feelings through behavior —such as kicking, holding breath, running away. Point, touch, or look at something —such as shoes, a toy, or clothing. Say simple words or sounds. 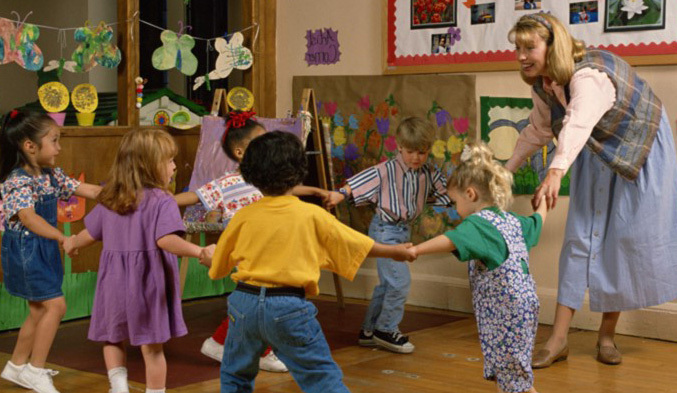 Leaving your child in child care or preschool for the first time may be hard for both of you. Your child will face new adults, new children, new places, new things, new routines, and new limits. She is used to your comfort, help, and protection. She may be scared about being alone—and angry with you for leaving her. You may be worried that the teachers won’t care for her the way you would, or that they may ignore or hurt her. You may worry that she will cry or misbehave. These feelings are normal. 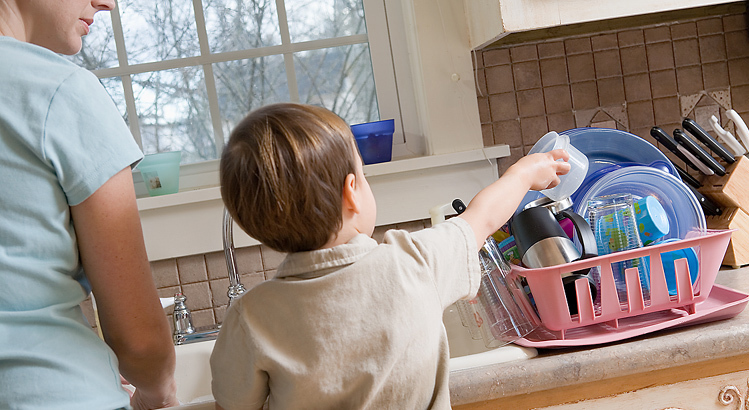 You have taken the first step by carefully selecting child care that you think is right for your child. You have found child care workers that you like and can begin to trust. See the last newsletter for how to choose child care. If possible, visit the program with your child before her first full day. Let her watch and explore with your help and protection. Talk with the teacher about your child before she begins the program. Tell the teacher about your child’s eating and sleeping schedule, allergies, and other health concerns. Talk about what upsets your child and how she can be comforted. Bring all the forms, clothes, equipment, and food that the teachers request. Bring one of your child’s favorite things, such as a stuffed animal, a blanket, or a toy car. Arrive a few minutes early so you can talk with the caregiver, put away your child’s things, and sit with your child to watch what is going on. With a calm face and hugs and kisses, say “goodbye” when it is time to leave. Tell her when you will return. Of course your child may cry, or scream, or kick, or retreat to a corner with her thumb in her mouth. She may like this place, but she wants you with her. Even though it is very hard, keep walking. It may help to call the teacher in an hour to learn how your child is doing. When you pick up your child, greet her with warmth and words that show you know it was hard for her. Tell her that you are proud that she made it through the day. Don’t be surprised if she is both glad to see you and mad that you left her. Learning how to say “goodbye” to people we love is difficult. Most of us struggle with this all our lives. This may be your child’s first experience in saying “goodbye” to you on a daily basis, and it will take time for you both to learn how to do this easily. When children misbehave we need to stop them, let them know what they have done wrong, and tell them why it is wrong. Then, we need to teach them the right thing to do. When we punish children, we expect to make them suffer physically or emotionally in “payment” for doing something wrong. Punishment usually does stop the unwanted behavior for a while, but it often causes other problems. Punishment may cause children to fight back with aggressive or naughtier behavior. It may teach them that they can do what they want as long as they are willing to “pay the price” of punishment. They could feel like “bad” children, unloved and unlovable and give up trying to please you. Punishment usually does not teach children what they should do — only what they should not do. It does not teach personal responsibility. A young child who has done something wrong may simply not know what he should have done differently. If Johnny throws a toy truck at his sister because she won’t let him play with her ball, he needs to learn why he should not throw trucks. He also needs help in learning how to take turns or find another toy to play with. This calls for teaching, not punishment. Of course you need to keep Johnny from throwing trucks. You also need to tell him in simple words why he should not throw the truck and how he can play with other toys until it is his turn to play with the ball. If you are patient and keep reminding him, Johnny will learn how to cooperate. Punishment alone could not have taught him how to wait for his turn. After starting childcare, some children change their eating and sleeping patterns. Some need more time curled up in their parents’ laps or sucking their thumbs. These things will change as your child becomes more comfortable in the child care program. Long after your child can say “goodbye” without tears or anger, she may show signs of this stress when she is with you. Children can be angels at school (where they want to please these new adults) and terrors at home (because they feel safe and can blow off steam). It helps if you drop in for a visit to see how things are going when no one expects you. If your child doesn’t know you are there, you will get a better idea of how the caregiver and your little one are doing. Remember that you are helping your child learn how to adjust to changes that may be frightening. We all need to learn how to do this! Make sure she wears a diaper or training pants to bed. Put a waterproof cover over the mattress. Don’t give her liquids after dinner. Make sure she uses the toilet before she goes to bed. When she starts to have dry diapers regularly in the mornings, she may be ready for nighttime training. Try letting her sleep in her underwear. Keep a waterproof cover on the mattress for accidents. Leave a light on in the bathroom for late night trips. It may take up to 2 weeks for her to learn to stay dry all night. If this does not work, then your toddler is not ready yet. Dress her in a diaper for bed and try again in another month. 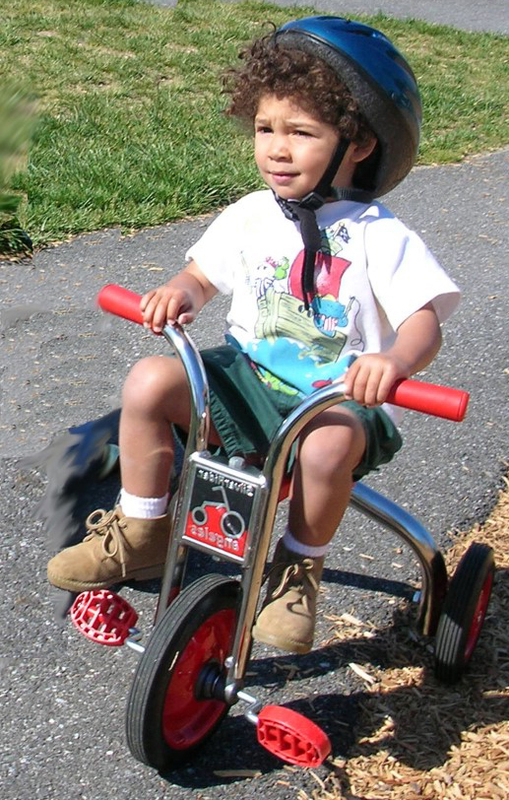 A developmental assessment measures your child’s progress. If a toddler falls behind, she may have a problem that requires special help. The sooner you can get that help, the better. Information from parents is especially important, since parents know their children better than anyone else. 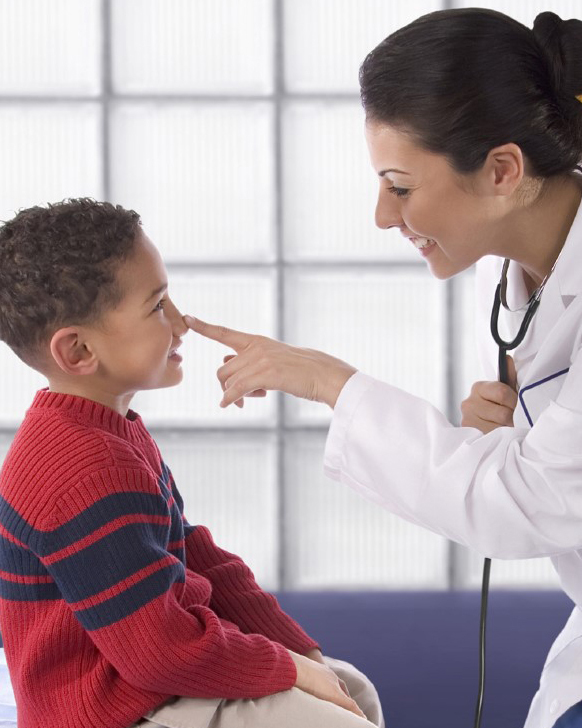 Parents know what their child can do even if their child is shy about doing these things in front of the doctor. If lags or delays are found during the physical exam, additional testing should be done by experts in child growth and development. Parents should ask for this service. It is common for toddlers to say things that may not be true and to take things they want even if these things do not belong to them. Children who do this are not trying to misbehave. What they need from you now is gentle teaching, not punishment. Tell your child you do not want him saying things that are not true or taking things that are not his. Explain. When he lies to you, remind him that you want him to be truthful. Do not call your child a liar or a thief. He could believe these labels and feel there is nothing he can do to change. Your child is learning about right and wrong. He is finding out the difference between make believe and reality. He is learning that he cannot get what he wants by taking it. This kind of learning and self-control takes time. Be patient, firm, and loving. Show him that you do not lie or steal. Your child will imitate you —not because he is afraid of punishment, but because he wants to do what is right. 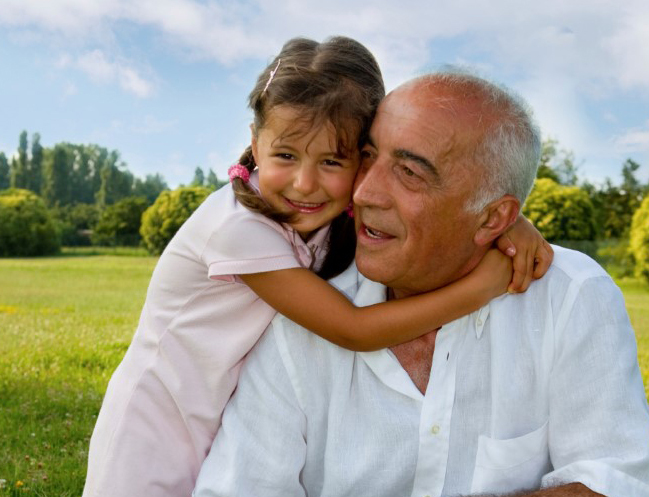 Have you noticed how much your child enjoys grandparents, aunts, uncles, older friends, and neighbors? You are the most important adult in your child’s life, but your child learns from other caring adults that he can trust, love, and enjoy. Other caring adults make your child’s world more varied, interesting, and exciting. Each one has something important and different to share and to teach. Your toddler needs these adult relationships. Do all you can to encourage them. They are a precious part of life. Draw 4-5 pictures or cut out 4-5 shapes that are all alike except one. Start with pictures or shapes obviously different, such as four pictures of trees and one picture of a house or four red triangles and one white circle. Later you can make the “different” pictures more like the others. For example, four dogs and a cat or four small red triangles and one large red triangle. Ask your child to show you the one that is different from the others. Take turns. You can also play this with actual objects found around the house and in the yard, such as four spoons and a fork or four red flowers and a white one. Your child is learning the word “different” and what it means. Your toddler is at an age where she can feed herself. Some toddlers are good enough with their hands to use child-sized spoons on their own. Others may still use their fingers. 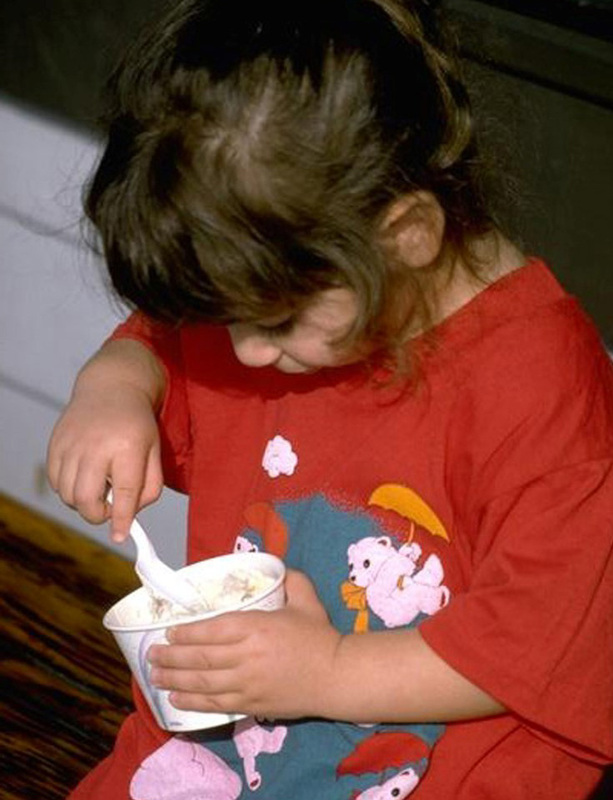 Toddlers may learn to use a spoon by using their fingers to put food on the spoon. Other times, they may use their fingers to take the food off the spoon and put it in their mouths. It may be funny and messy, but your toddler needs practice to learn. Your child was born liking sweet things. This is why snacks like popsicles, cakes, cookies, and candy are so appealing. They are all high in sugar and very sweet. But these snacks offer little in the way of good nutrition. They provide energy but almost no vitamins, minerals, or protein. 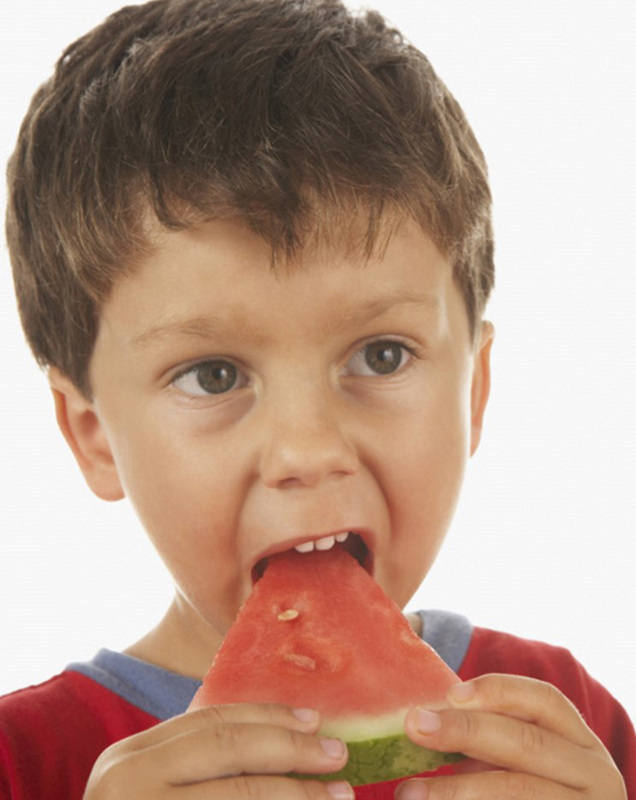 There are many foods that are naturally tasty and will appeal to your child. Fruit or fruit juice. Instead of fruit drinks with sugar, offer fruit juice. Full strength fruit juice may be too strong tasting. When you use frozen fruit juice, add an extra can of water. If you buy bottled or canned fruit juice, mix a little water into each cup of juice. This will give it a milder flavor, and it will stretch your food dollar. Limit your child to one serving (about 1/2 cup) of fruit juice a day. “Ants on a log.” Place peanut butter down the center of a celery stick. Put some raisin halves on top. It’s ready to eat. This snack is better for toddlers who have all their teeth and can chew well. They should brush right after eating it since raisins can cause tooth decay. Toddlers love to help make this snack! Sometimes, food is used to comfort toddlers who are upset. This teaches toddlers that food is not just for eating when hungry — and can start unhealthy eating habits. When parents give children a special food for comfort, children want to eat more of that food when they are upset.